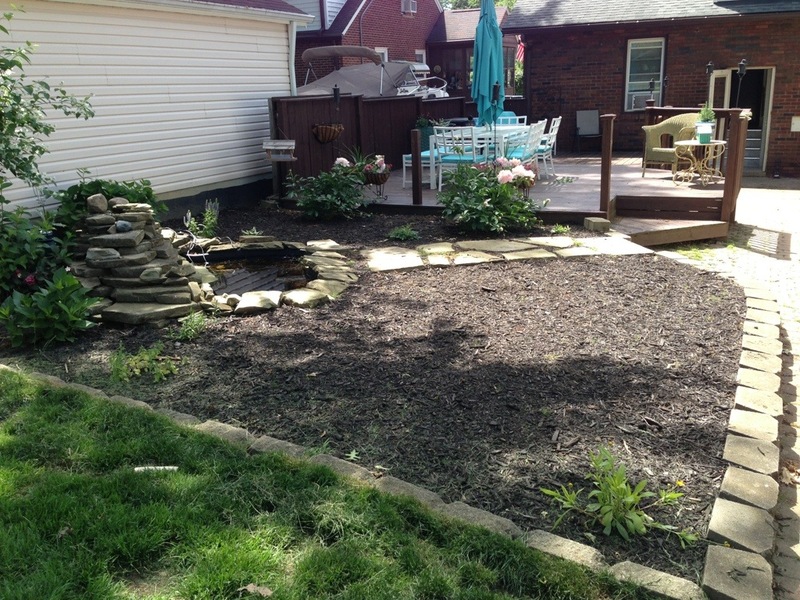 Well, we began making some changes in our backyard according to our backyard plan and its beginning to look 100% better! See some new before and after photos below. If you remember (or saw photos of the backyard when we first moved in) the pond area was a mess. 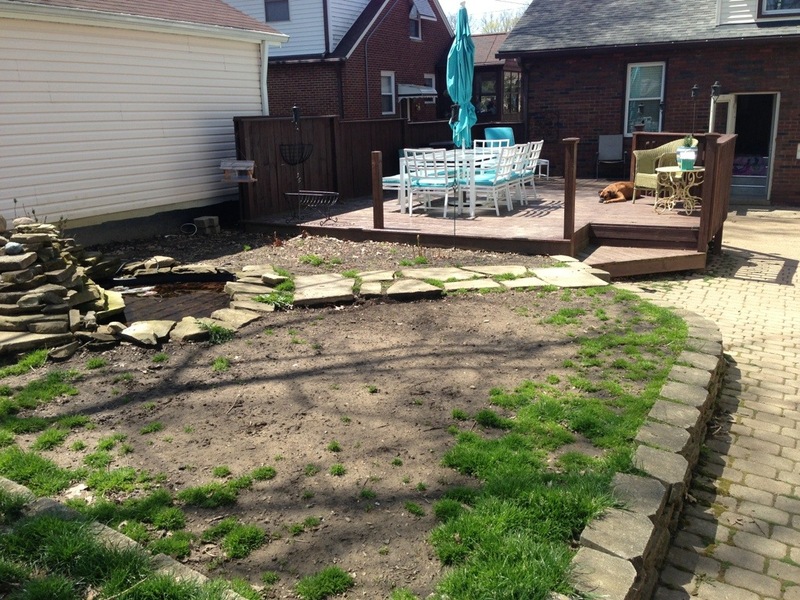 We managed to clean it up a few years ago, but weeds started to takeover again and the dogs destroyed all of the new plantings from the year . We managed to lay new mulch this year and I’ve started to plant some new perennials to brighten up the area. We wanted to tear this area out and extend the brick patio, but in the meantime we figured we’d make the best of what’s here. I would like to put up a small garden fence along the perimeter to deter the dogs from running through the area.